Unsworth loves steel for its own sake. 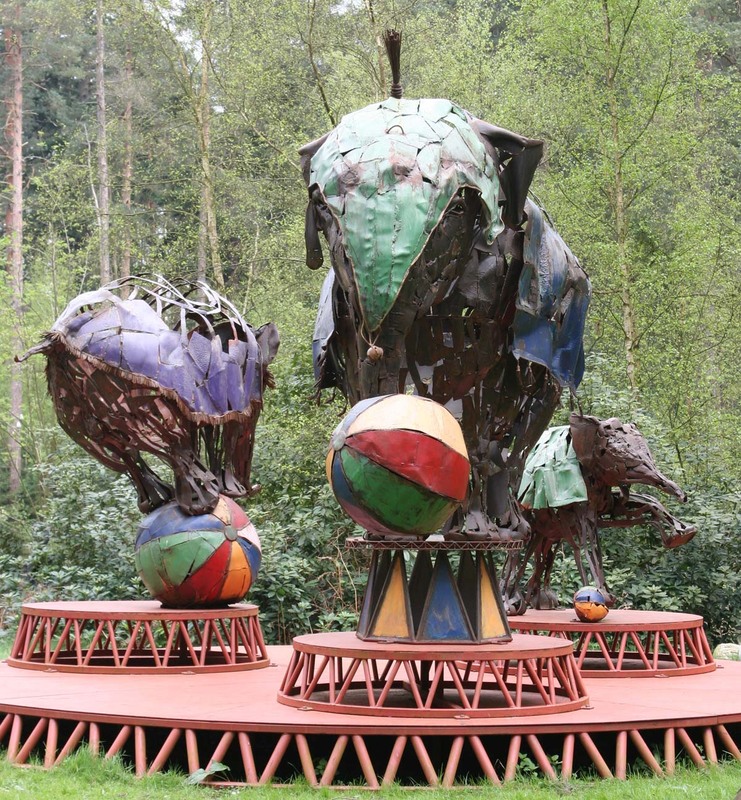 He does not, like many contemporary sculptors, use steel and other metals to comment on the shallow and wasteful nature of our consumer driver mechanised culture; nor does he, like Caro, focus on the strength and purity of steel, its tensile properties. Unsworth loves steel as he finds it in the scrap yard: smooth and pristine or rusty and weathered; clean-edged and intact or jagged and fragmented. The work begins in the scrap yard, not only with selection of materials but by looking at composition, how to link elements together and the forming of a contextual language. 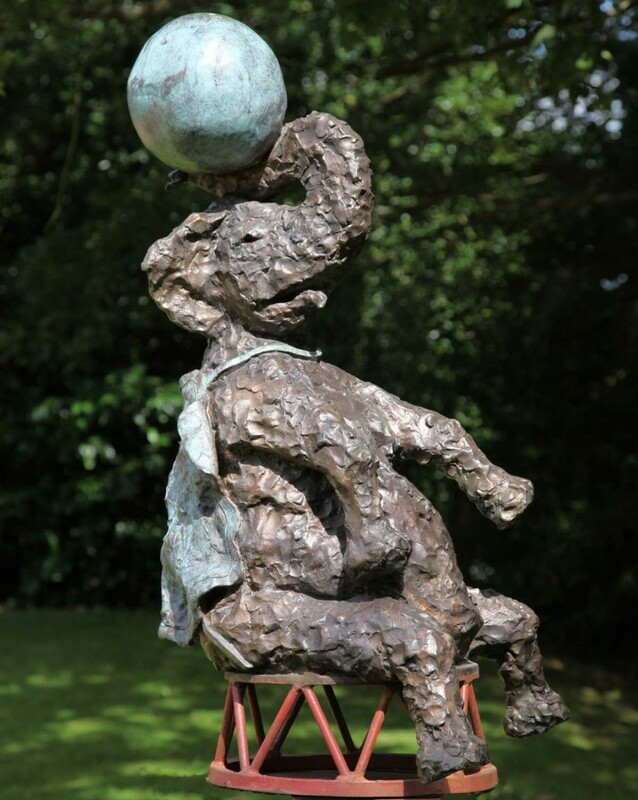 Unsworth’s creative pathway did not stop at the purely abstract, he became very interested in the form of the elephant, perhaps due to his reaction to trips to Africa, and he soon became drawn to the idea of balancing circus elephants. The elephants always possess a distant look in their faces, some sense of darkness that suggests a vacancy. 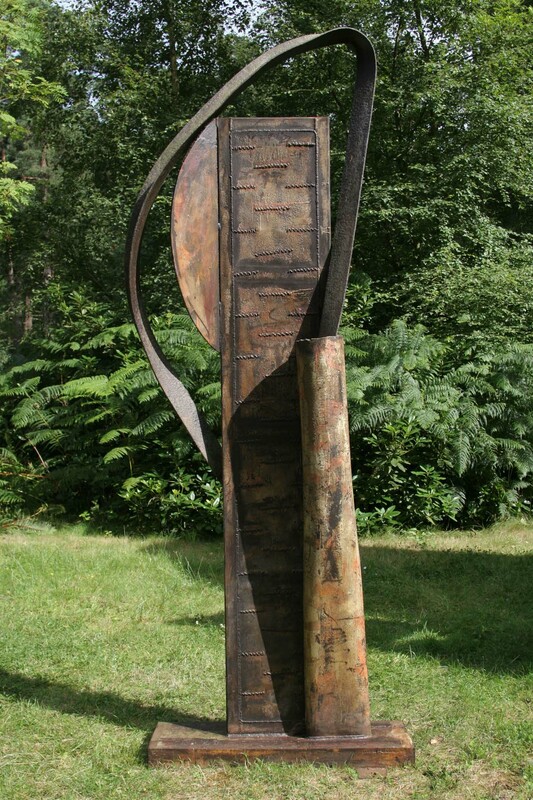 The work has colour but also a great deal of rust which creates a feeling of confliction in what Unsworth is trying to say with this work. Are we looking at a playful, happy creature or are we looking beyond the colour to a darker vein where animals are subjected to performing for us and acting like humans?